It is extremely important for both advertisement and prestige issues to maintain a good relationship with your visitors, guests, customers, strangers, foreigners, or any other group that visits your business. We offer a vide variety of LED signs for both indoor and outdoor use. Our products include many different size LED displays, so you can freely chose the one that will suit you best. 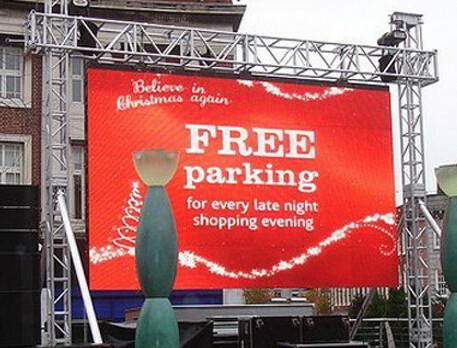 Our LED signs can be used in such places as hotels, state/country borders, official buildings, schools, shopping centres, supermarkets, financial organisations and also in entertainment related business such as circuses, funfairs, sport events, cinemas, clubs and many more. Our LED displays are made only from high quality materials and come with user friendly devices for easy text and visual content transfer.